Emmaus is a teen-to-teen ministry for high school students. 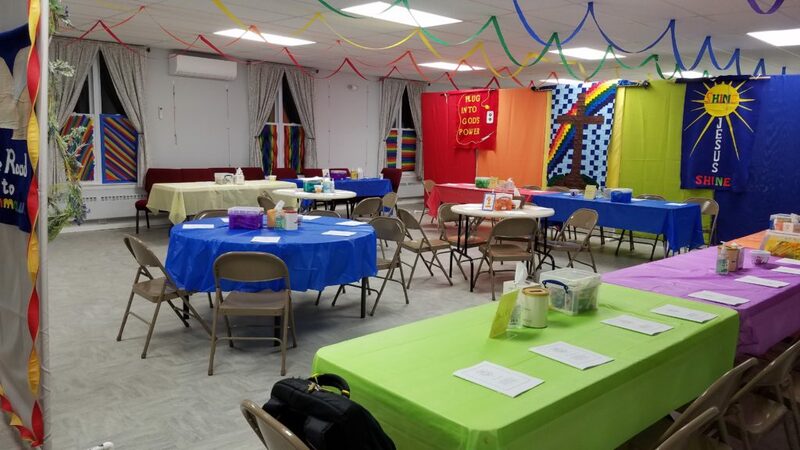 The Emmaus team, which consists of adults and teens from a variety of local parishes, meet weekly for approximately nine weeks to plan a weekend retreat, which occurs on the tenth weekend. Weekends happen twice a year: once in the fall and once in the spring. The purpose of the weekend is to invite other teens, known as candidates, to come and develop and/or explore their relationship with God through the programs led by the teens on the team under the supervision of the adult leaders. Typically, 50 plus people are involved in the weekend. St. Peter’s has been involved with Emmaus for many years, and just recently hosted the weekend. The program does not end after the weekend, but continues through monthly reunions where all the teens, past and present, can come together and worship, share, and be rejuvenated, along with the adult leaders.